Orkney has a long history with the sea, mainly concentrated around Stromness. Find out about our connection through our maritime gallery. 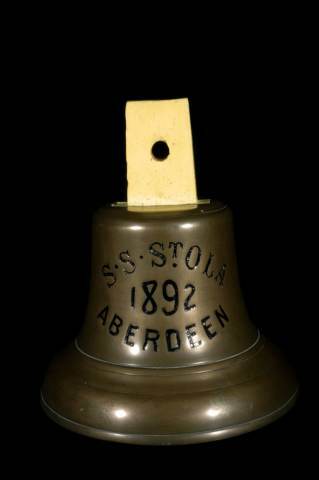 Made by James Scarth Foubister, Deerness, after his own was smashed at sea. We're not entirely sure the 'tone' of this fiddle will be very sweet. 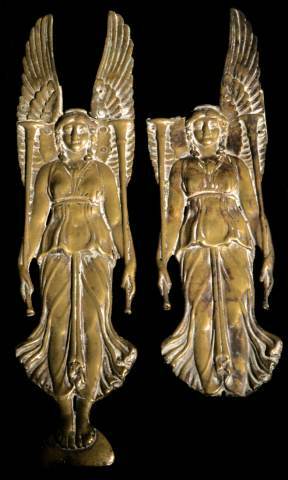 A pair of winged brass trumpeters. 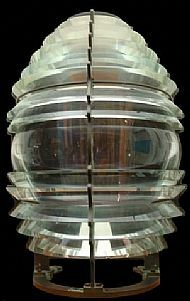 The original decorative fittings from Hoy Low Lighthouse, Graemsay, one of two Stevenson lighthouses on the island. 10.25 inches. 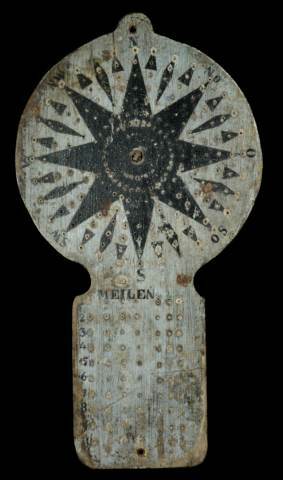 The helmsman could peg his run on any direction of the wind every half hour to record his position. Length 13 inches. 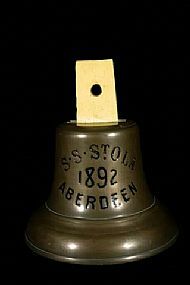 A ship's bell inscribed SS St Ola 1892 Aberdeen. 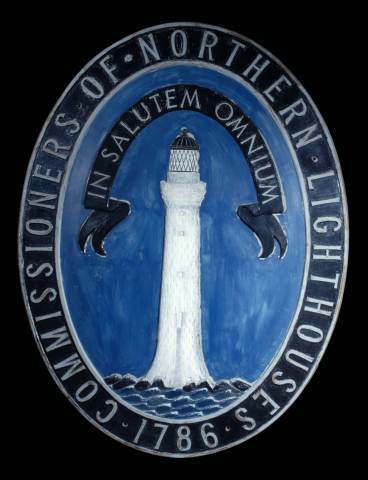 Northern Lighthouse Board dinner plate with NLB emblem at centre; from Hoy Low lighthouse, Graemsay. 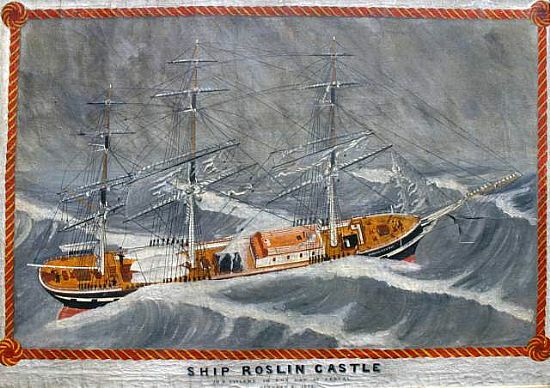 Oil painting of ship Roslin Castle in a cyclone in the Bay of Bengal, October 1876. Commissioned by Captain Robert 'Jock' Sutherland, master of the ship. 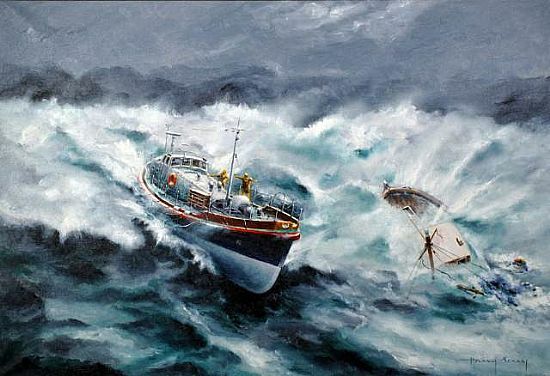 An oil painting of the attempted rescue of the Stromness fishing boat MFV Desire by the Longhope Lifeboat T.G.B. off Hoy. 27th May 1963. It was painted by Harry Berry. 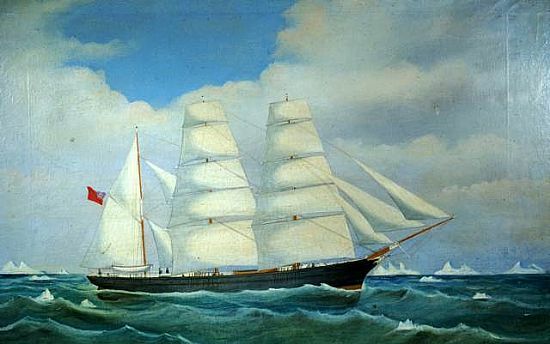 Oil painting of the Mission ship Harmony. The Moravian Brethren Society for the Furtherance of the Gospel established a mission in Labrador in 1769. Their ships called at Stromness each summer en-route from London to Labrador and many Orcadians served as crew members. The original catadioptric lighthouse lens from Hoy Low lighthouse in Graemsay. 1851. 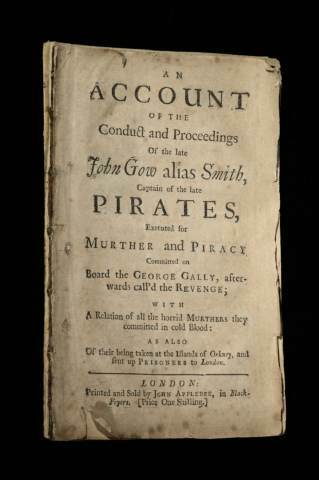 Book by Daniel Defoe, c1726. An Account of the Conduct and Proceedings of the late John Gow alias Smith, Captain of the late Pirates, Executed for Murther and Piracy Committed on board the George Gally, aftewards call'd the Revenge; with A Relation of all the horrid Murthers they committed in cold Blood; as also of their being taken at the Islands of Orkney, and sent up Prisoners to London. The Society reprinted a limited edition facsimilie copy of this volume, some copies of which are still available in the Museum. Contact us for information. 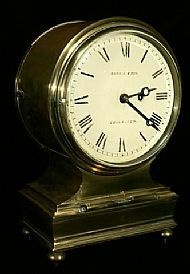 The chronometer from Sule Skerry lighthouse, our most remote island, 40 miles to our west. 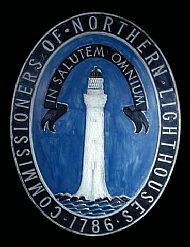 Northern Lighthouse Board blue plaque. 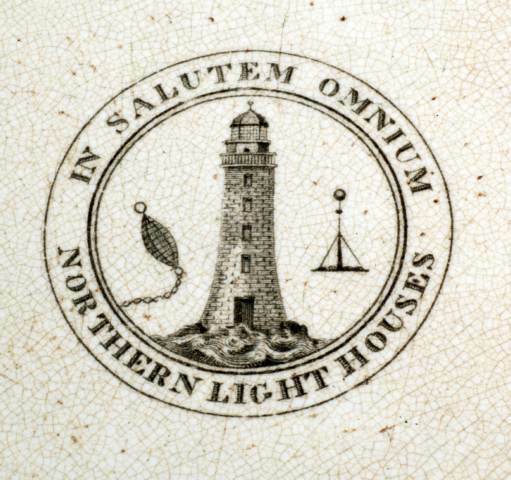 Inscription on the outer rim Commissioners of Northern Lighthouses 1786. 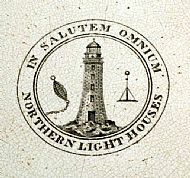 On the ribbon above the lighthouse is the Latin inscription IN SALUTEM OMNIUM (for the safety of all). 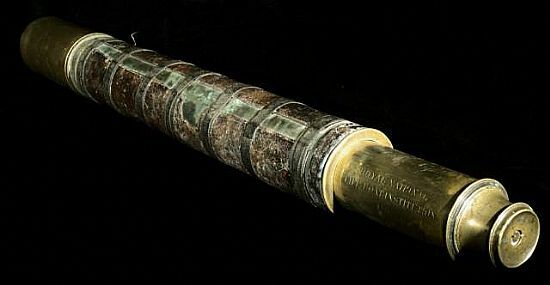 Brass, leatherbound telescope engraved ROYAL NATIONAL LIFEBOAT INSTITUTION 1867. It was used on the first Stromness Lifeboat Saltaire. It is in a wooden case with a hinged lid. 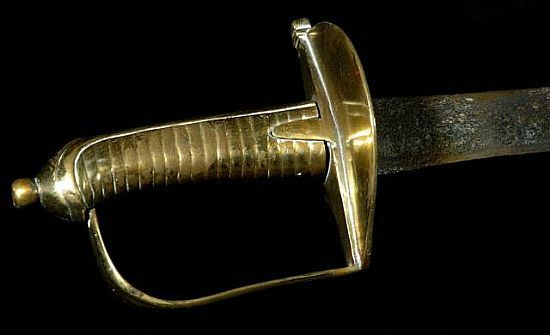 A naval cutlass with brass ornamental hilt and steel blade. It belonged to George Stewart of Massater who sailed as a midshipman on the HMS Bounty expedition of 1787. 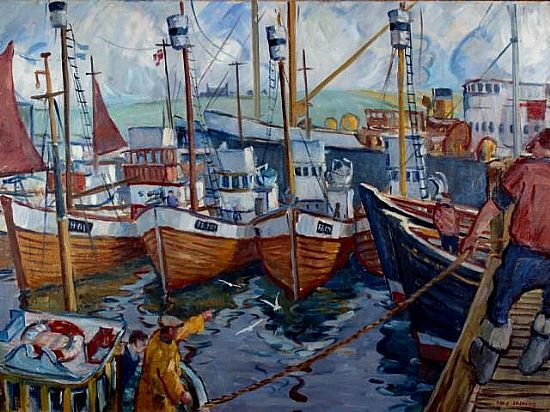 White ceramic (Ironstone) chamber pot, or chanty, with the emblem of the North of Scotland Orkney and Shetland Shipping Company Ltd.
An oil painting by Stromness artist Ian MacInnes showing Norwegian whalers in Stromness Harbour. 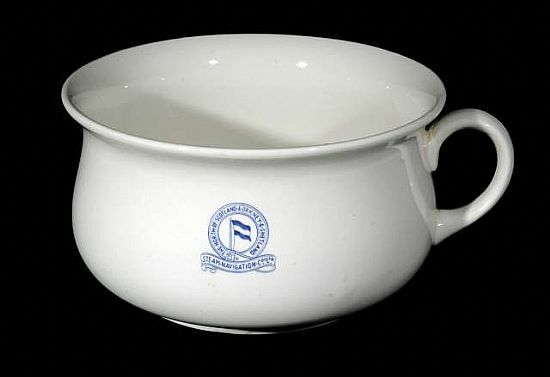 A porcelain bowl inscribed Capt. A Rousey The Isabella of Stromness. 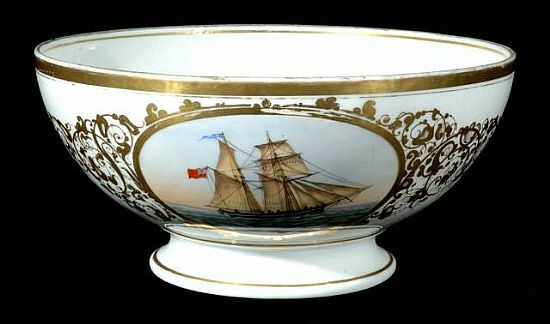 Captain Rousay commissioned two punch bowls in Denmark to celebrate his trading vessels Isabella and Annie. Diameter 280mm, height 80 mm. 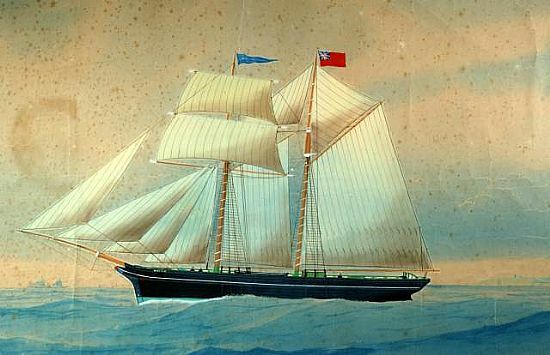 Watercolour of the trading schooner Maggie of Stromness, owned by J A Shearer and Son.